The Director-General and the BBC Board have thanked her for her work since 2013. As Deputy Director-General, Anne was responsible for all the finance, HR, legal, risk and technology (design and engineering) functions of the BBC. In addition she managed strategy, marketing and audience activities, as well as serving on the board of Children in Need. Anne also works on the board for the Army, University College London, the Motor Neurone Disease Association and the Ministry of Justice. The BBC says it will set out the next steps for her post in due course. BBC Director-General, Tony Hall, says: “Anne has been an inspirational leader. She has brought real insight and determination in bringing change to the BBC. Her achievements at the BBC are many – she has ensured the BBC continues to innovate and deliver hugely popular services to the public. She has vastly improved the BBC’s efficiency to industry-leading levels. 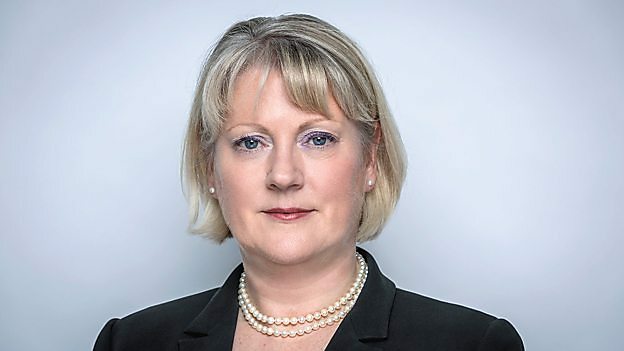 She has led a transformation in the BBC’s working practices. The BBC radio and tv journos who create all the anti-Brexit stories/ propaganda have clearly NOT been reading the comments by licence-fee payers about BBC bias on Facebook for the last 2 years! Totally agree with Len. I used to hold the BBC in high esteem however its anti Brexit bias and pro EU stance has convinced me that the next referendum should be on the future of the Licence fee. Len, get back to Bedroom FM and leave the politics to those who know about it.